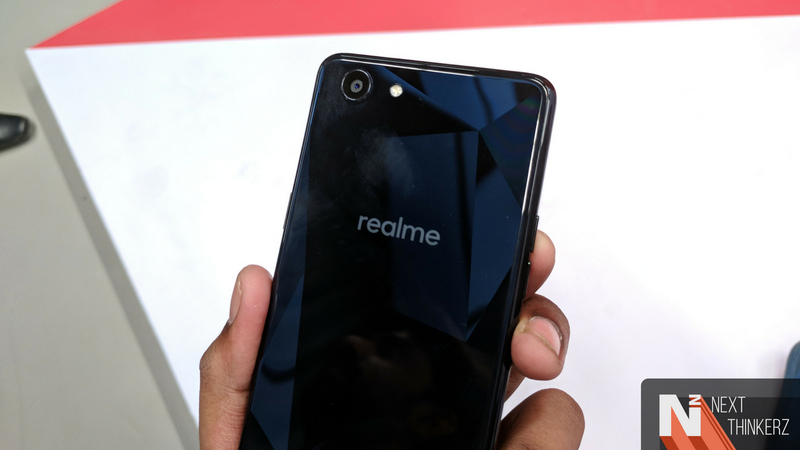 RealMe 1 Launched In India, disruptive pricing starts at Rs.8,990. 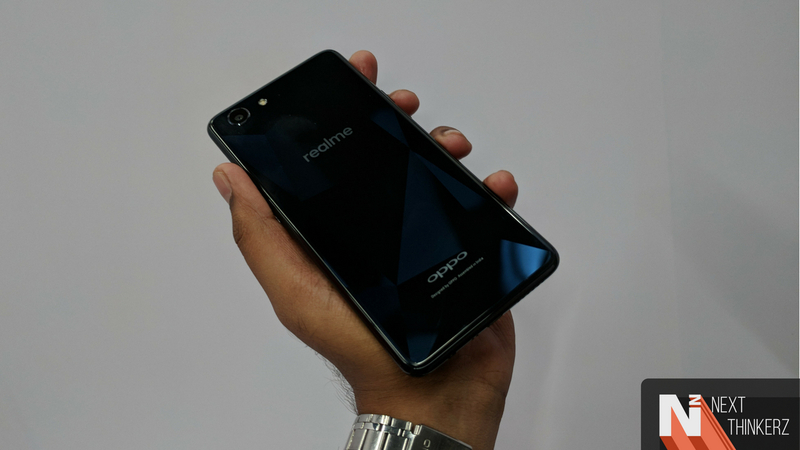 Today marks the day, RealMe a sub-brand of Amazon and Oppo marks its entry in the Indian Smartphone market league. Equipped with Gimmicks such as AI Camera, the company says that their first offering is focused towards the younger audience. There are also some excellent caviar's like everyone will be offered Prime Deliveries and some exotic deals with partners. The company is currently targeting the sub 15000 price segment which might, later on, flourish depending on their success in their first quarter. Some of the most appealing facts about this device the crystal cut design at the back which comes with the diamond color variant. There are three variants in total, let's discuss more the same in details. 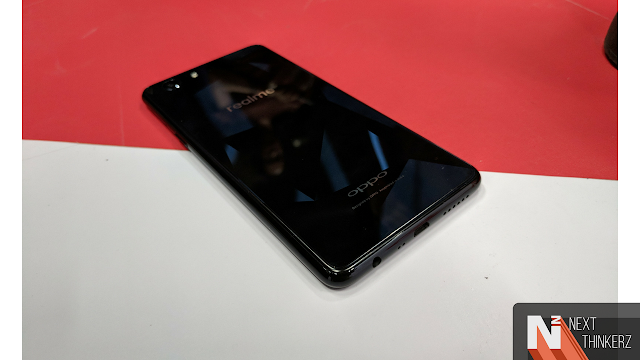 It comes with 2GHz Helio P60 Octacore processor which is also termed as world's first 12nm chipset equipped with AI compute power. It sports a 6.0 inch 18:9 FHD+(1080p) panel which outputs about 403PPI. Comes in three different storage variants: 3GB RAM/32GB ROM, 4GB RAM/64GB ROM, 6GB RAM/128GB ROM. All of them will support expansion up to 256GB with a dedicated slot. Comes with a 13MP Camera on the rear, while an 8MP Camera on the front, both of which will have support for bokeh modes. The front will also function as a strong point for facial recognition. It has a 3410 mAh non-removable battery. Comes with ColorOS 5.0 which is built on top of Android 8.1 Oreo. Regarding connectivity, both SIM Slots support 4G. Color Variants: Diamond Black, Solar Red & Moonlight silver. The processor on-boarded on the phone is touted to have AI Shot capabilities which would yield better shots with the new "12 nm" chipset. The chipset is also focused on providing better performance regarding photography, real-time video preview, beautification modes, better battery life, etc. The RealMe 1 will be exclusively available on Amazon which seems obvious; the sale will commence on 25th May, 2018. Also, make a note that the company supports the "Make In & Made In India" initiative. 3GB RAM + 32GB ROM(Diamond Black & Solar Red): Rs. 8,990. 4GB RAM + 64GB ROM(Moonlight Silver & Diamond Black): Rs.10,990. 6GB RAM + 128GB ROM(Diamond Black & Solar Red): Rs.13,990. No Cost EMI on Amazon. In, SBI cardholders will get % cashback, while Jio customers will get a cashback of Rs.4850/-. Amazon Prime deliveries for everyone. As of now RealMe 1 pricing seems seemingly disruptive starting Rs.8,990. Regarding design the phone has a 12-layer nanotech composite material which gives the device a shiny and diamond hampered look at the back which produces different reflections when the device is held in different angles, this also gives us a tangy taste of how the phone might fingerprint prone and slippery. Regarding software features, the AI shot can even recognize the gender, age depending upon the skin tone and skin type. AR stickers are also available built-in, so the users don't need to install any additional apps. AR stickers functions are supported both on the front and back. The facial unlock takes about less than 0.1 seconds to unlock the phone. 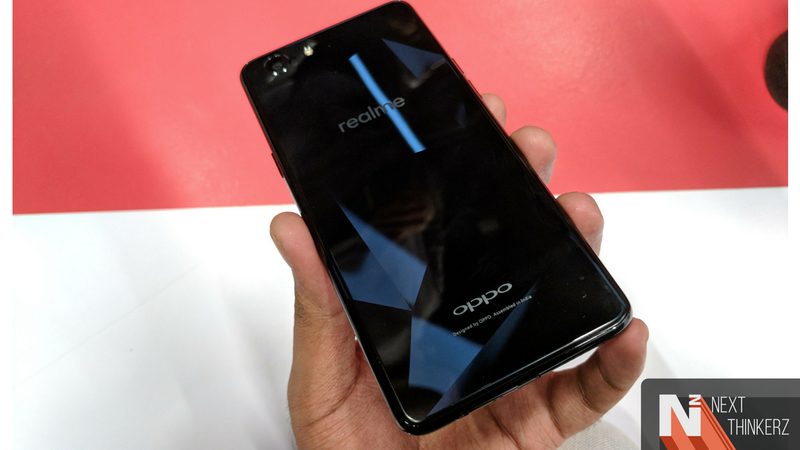 Regarding support for offline service centers, there are about 500 service centers spread across India, and this will be handled by Oppo on behalf of Amazon.